Get away to the mountains! The Santa Cruz Mountains: Forests. Rugged terrain. Dramatic vistas. You get all this and more when you visit the wineries along Summit Road, with their mountain vineyards, lovely gardens, and award-winning mountain wines. Within just a few miles there are eight wineries, making it an enjoyable wine tasting destination. This is high elevation country, but it is easy to get to – just a 20-minute scenic drive along Highway 17 from Santa Cruz or Los Gatos in Silicon Valley. As you drive the 2,000-foot climb to Summit Road, you enter another world, surrounded by the natural beauty of the mountains. Several of these wineries have formed a wine trail called The Summit Wineries, including Silver Mountain, Villa del Monte Winery, MJA Vineyards, Burrell School; and a new winery, Wrights Station. In addition, Regale Vineyards & Winery is nearby, and just up the road is Loma Prieta Winery. And, although not open to the public, Muns Vineyard participates in local wine tasting events. Villa dell Monte winemakers John Overstreet (left) and Neil Perrelli. Photo courtesy of the Summit Wineries. Your first stop coming off of Highway 17 is Villa del Monte Winery, a small boutique winery tucked away in the woods. The driveway is not marked, so call first to get directions. The two winemaking families, the Perrellis and the Overstreets, will give you a warm and friendly welcome to their intimate, woodsy winery setting. Here you can taste a wide variety of wines made by Neil and John, including Cabernet Sauvignon, Chardonnay, Pinot Noir, Syrah, Zinfandel and more. “We make single varietal, single vineyard wines in small lots. This allows us to nurture the wines every step of the way,” explained Joyce Perrelli, co-owner. Villa del Monte works with some small local growers in the mountains, and brings in grapes from other regions as well, and their wines have been winning awards. Villa del Monte is open select weekends and by appointment, so call in advance. Burrell School Vineyards and Winery. Photo Courtesy of the Summit Wineries. Continuing down the road only a couple of miles you will come to Burrell School. You can’t miss it – just look for the little red schoolhouse (circa 1800s) on the hill. The views here are stunning. Dave and Anne Moulton are at home here. They planted the vineyard and Dave makes the wine. Sip the handcrafted results on the balcony overlooking the vineyard, with the mountains spread out before you. The schoolhouse theme extends to the names of the wines that are ‘at the head of their class’, such as Teacher’s Pet Chardonnay; Principal’s Choice Pinot Noir; and Spring Break Syrah. Burrell School is open for tasting Thursday through Sunday, 11 a.m. – 5 p.m.
Wrights Station, a new winery and tasting room opening in the Summit Road area the weekend of the Solstice on the Summit festival. Photo courtesy of the Summit Wineries. Practically across the road from Burrell School is a new winery, Wrights Station, on Loma Prieta Ave. just off of Summit Rd. Owner and winemaker Dan Lokteff acquired an existing Pinot Noir and Chardonnay vineyard and is has just opened his stunning new winery and tasting room this month. Relax on the patio and soak in the views across the mountains. The wines currently include Chardonnays and Pinot Noirs from the estate vineyard, for which this property has long been known; and a Santa Cruz Mountains Cabernet Sauvignon from Bates Ranch. Wrights Station (the winery) is named for a town founded in the 1800s that served a railroad line transporting fruit from mountain orchards through a nearby tunnel into the valley. There was a depot, hotel, store, post office, a blacksmith, and school. By 1940, Highway 17 had taken its toll on the station, as well as floods, landslides and fire. Today, nothing remains except the ruins of the tunnel’s portal and a bridge. The new Wrights Station Vineyard & Winery sits just above where the station and town once stood. You can read more about this history on the winery’s website, www.wrightsstation.com. The Silver Mountain Jazz trio playing in the amphitheater at Silver Mountain. Photo courtesy of the Summit Wineries. Back on Summit Road, make a right on the Old San Jose Soquel Road to find Silver Mountain, only five minutes away. “It is a special experience for visitors to come to where we are in the Santa Cruz Mountains,” said Jerold O’Brien, winemaker and proprietor at Silver Mountain. Visitors can picnic in the amphitheater right next to the organic vineyard and enjoy spectacular views over the mountains to Monterey Bay. Silver Mountain is known especially for its award-winning Pinot Noirs, Chardonnay, and a Bordeaux blend called ‘Alloy’. Silver Mountain is open Saturdays 12-5 p.m., and by appointment. Hula Dancing at MJA’s Summit tasting room. Photo courtesy of the Summit Wineries. A little further and Summit Road becomes Highland Way, and just a mile up is a rustic cabin in the woods, MJA Vineyards’ tasting room. Visitors enjoy the ‘aloha’ spirit here, as Marin Artukovich moved here from Hawaii, where he grew coffee beans. Come on a Tuesday and you’ll find him roasting Kona, which is available to take home. Saturday afternoons feature live music. Sip by the fire when it’s cold, or under the trees and picnic when it’s warm. In the glass, enjoy Santa Cruz Mountains Pinot Noir, and Cabernet Sauvignon and Sauvignon Blanc from Napa. MJA is open every afternoon. Both MJA and Silver Mountain also have tasting rooms in Santa Cruz on the Westside, in an enclave with another group of wineries, the Surf City Vintners. Muns Vineyard on the Loma Prieta ridgetop, overlooking the Monterey Bay and Santa Cruz. Photo courtesy of the Summit Wineries. Continue up the hill to Loma Prieta Winery, known for its views over Monterey Bay and its Pinotage, the only winery growing and making this wine in the Santa Cruz Mountains. Sit out on the patio and enjoy the view, play a little bocce ball, and explore a wine list that includes Viognier, Pinot Noir, Merlot, Cabernet Sauvignon, Pinotage, and a sparkling wine. The wineries on the summit are all intimate, family-owned artisan wineries where you can often taste wine with the owner/winemaker. Only a few minutes apart you can visit them all in a single afternoon – but why rush? Come back again another day, make a weekend of it. Bring a picnic and spend some time. You can also stop by the Summit Store to pick up a picnic lunch. You’ll find gourmet sandwiches, including tri-tip or chicken off the grill; fresh sushi, a wide selection of cheeses, a salad bar, and more. This is a place to relax, and soak in the mountain ambience. Discover the natural beauty of the mountains; and savor the vistas and forest scenery – and especially the excellent mountain wines. Then explore the fine restaurants back down the hill, on either side, in Los Gatos or the coastal towns around Santa Cruz. Visiting and wine tasting with the wineries along Summit Road really is a memorable ‘top of the world’ experience. Once you get here, you won’t want to leave! Open for tastings on selected weekends and by appointment. Check web site for details. Open for tasting Saturdays 12 to 5 pm. Open for tasting Thursday through Sunday from 11 am to 5 pm. Live Music most Saturdays – Coffee Roasting on Tuesdays. Open for tasting Saturday and Sunday from 12 pm to 5 pm. 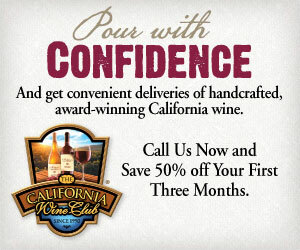 www.summitgrocerystore.com • 408-353-2186 • summitstore353@gmail.com.